Five of the 11 vehicles launched this year have been given a ‘Poor’ rating as the keyless entry/start system they have as an option has no security measures to prevent theft by criminals using the so-called ‘Relay Attack’ technique. Without this option, the overall security features were classified as ‘Good’. 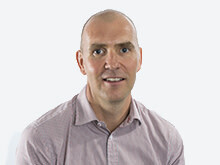 Richard Billyeald, Chief Technical Officer at Thatcham Research comments: “This initiative focuses on addressing keyless entry/start vulnerability. We’ve seen too many examples of cars being stolen in seconds from driveways. Now, any vehicle that is assessed against the new Thatcham Research Security Rating, and has a vulnerable keyless entry/start system, will automatically not achieve the best rating. *Keyless entry/start system assessed within rating whether available as an option or fitted as standard. Billyeald continues: “We are really pleased to see that the latest Audi e-tron, Jaguar XE, Land Rover Evoque, Mercedes B-Class and Porsche Macan were all awarded ‘Superior’. These carmakers have made significant strides in addressing keyless entry/start vulnerability, by either switching to a more secure wireless technology or introducing key fobs that go to sleep when idle. This demonstrates that there are solutions and fixes to the problem, which we expect other manufacturers to include on their future models. 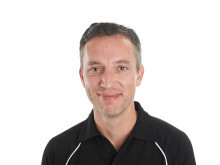 “Our guidance for worried drivers is first and foremost to understand if your vehicle has a keyless entry/start system or not, as it is often an optional extra. If it does, check whether there are solutions available with your key fob – can it be turned off overnight or does it go to sleep when not being used? “Faraday shielding pouches can be effective but test them first to make sure they do block the signal. Many are designed for credit cards so make sure they still close fully with a set of keys inside, to ensure maximum effectiveness. “Storing all sets of keys, spares included, away from household entry points is also important as it hampers the criminal’s ability to relay the signal. Minister for Policing and the Fire Service, Nick Hurd said: “I am determined to take swift and decisive action against vehicle theft. In January I chaired the first meeting of the Vehicle Theft Taskforce, which brought together members of industry and the police to significantly strengthen our response to this crime. In addition to improving vehicle security standards, the Taskforce will work together to ensure that robust measures are in place to prevent criminals exploiting the salvage process, and to stop access to devices that may be used to commit this theft. “Having an updated understanding of vehicle security helps the public better understand the theft risk of new cars. National Police Chiefs’ Council Lead for vehicle crime, Deputy Assistant Commissioner Graham McNulty comments: “Part of the reason for the recent increase in vehicle theft is the rapid development in technology. Whilst this has dramatically improved the experience of drivers it has also allowed criminals to exploit weaknesses in the electronic security. 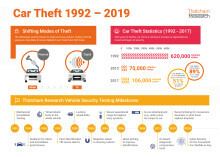 “The significant reductions in vehicle crime in the 1990s were achieved by police working with manufacturers to design out crime with innovations like immobilisers, alarms and central locking. This approach is as valid today as it was then and we have been working in partnership with the industry by sharing intelligence and equipment seized from criminals. 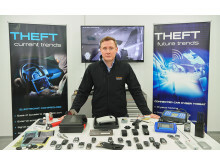 The rating is designed to reflect current theft trends, with the new release including the latest digital exploitations, whilst maintaining the existing mechanical aspects. “It will evolve over time and close loopholes as they appear,” adds Billyeald. Thatcham Research has been conducting security assessments for insurers on all new and facelifted models launched into the UK since the early 1990s. Thatcham Research technicians conduct a series of tests, ranging from timed ‘brute-force’ attacks on locks and access points, to tests that identify digital vulnerabilities, namely whether the keyless entry/start system is susceptible to the Relay Attack or the On-Board Diagnostic (OBD) Port allows blank keys to be coded. The categories are: Superior, Good, Basic, Poor and Unacceptable. Up to 20k – Expected to have fundamental security features, but not some of the extra layers found on higher-priced vehicles. Typically, a vehicle within this value range would include a Thatcham Research certified immobiliser, perimeter alarm, double-locking to all doors, locking wheel bolts and attack-resistant mechanical security. 20-35k – Expected to have high standard security features, but not some of the extra layers found on higher-priced vehicles. Typically, a vehicle within this value range should include the security from the Up to 20k range plus a Thatcham Research certified alarm system. 35k+ – The security should be to the very highest standard. Typically, a vehicle within this value range would include the security from the 20-35k range plus Thatcham Research certified alarm system with tilt sensor and a Thatcham Research tracking system. The rating is based on the New Vehicle Security Assessment (NVSA) that Thatcham Research conducts for as part of the overall Group Rating process on behalf of its insurer members. However, in addition to the NVSA scores, vehicles will be further rated to reflect whether they have “fixes” for known vulnerabilities such as with keyless entry/start systems. Subsequently, any vehicle that now goes through the Thatcham Research Security Rating and has a keyless entry/start system that is vulnerable, will automatically achieve a ‘Poor’ rating. The On-Board Diagnostic (OBD) port gives licensed garages access to a car so that faults can be diagnosed, and service lights can be reset, as well as other activities that require access to the vehicle’s system. Because of EU fair-trading legislation, the OBD port must be easily accessible and uniform – allowing non-franchised garages access using OBD tools. These tools can be expensive – up to £5,000 – but kits that allow a blank key to be reprogrammed can cost as little as £50. Passive keyless entry systems, which allow drivers to open and start their cars without removing the key fob from their pocket, can be exploited using a technique called the ‘Relay Attack.’ Usually operating in pairs, one criminal will hold a device up against the car, to capture the signal it sends out to the key. It then ‘boosts’ this signal to another device by the front wall of the house, which relays the signal to the key inside. 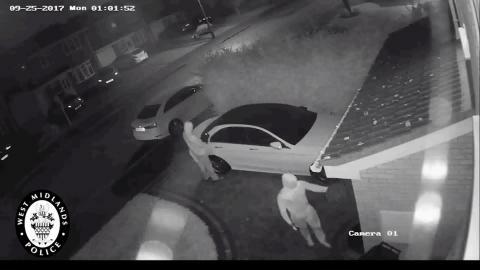 This fools the car and key into thinking they are within the 2m range of operation, allowing the car to be unlocked and started. Once started the engine will not restart without the key present.